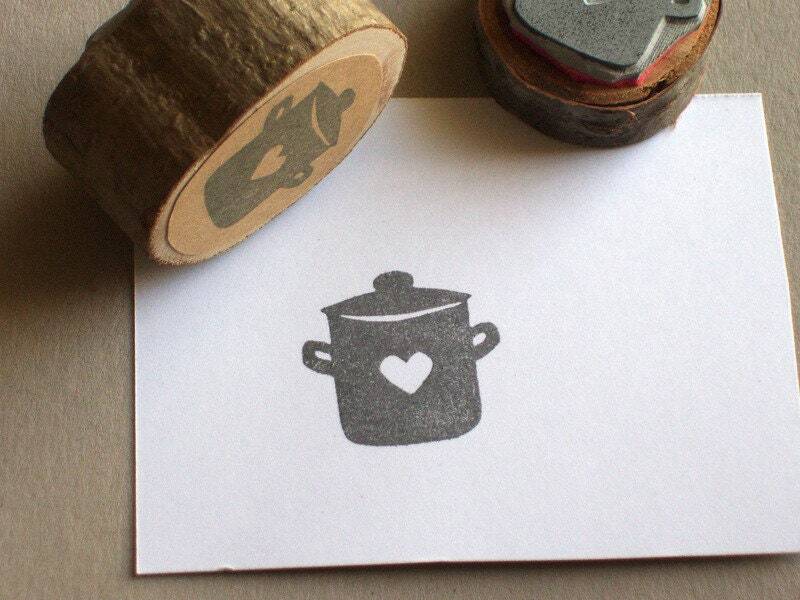 cooking pot with a little heart. 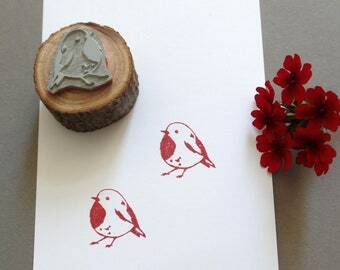 A stamp for decorating your recipe cards, dinner invitations or other paper projects. The design was drawn by me. It was lasered into natural rubber. The stamp handle is wood from a tree branch, this is natural with bark and a beautiful eye-catcher on your desk. The woods are different and may vary from the picture. The top shows the stamped picture.